Out of all the new artists I featured around last year, Coast may be my favorite. His album, March First, was full of non stop bangers that still receives a lot of rotation here. 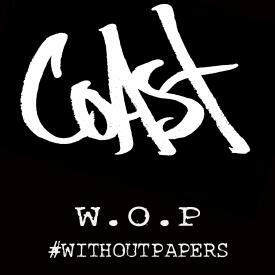 Now we have a new cut and the announcement of a new project, #Withoutpapers, which has a ‘coming soon’ tag. I will promote this artist to the fullest as a shining light in a most stale musical world. He brings a lot of energy and skill to the mic. As an extra bonus, another artist making his name felt, Skrewtape, along with Taboo, join him on this track. Stay tuned for more.